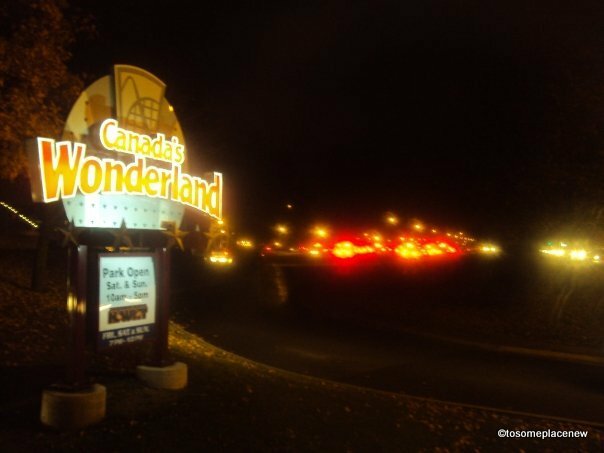 Canada’s Wonderland is a theme park based in Vaughan, Ontario, which is about 40 kilometers from Downtown Toronto. Canada’s Wonderland is a major attraction and is usually busy during the summer months. There are joy rides, shopping arenas, entertainment galleries within the theme park. To access the rides and the park you will have to purchase an entry pass. You can either purchase an annual or seasonal or per entry pass. https://www.canadaswonderland.com/ is the official website of Canada’s Wonderland. It was spooky and spootacular all throughout the amusement park. Ghosts would be jumping out of nowhere and everywhere. A fun night with horror, amusement and thrill! Other then the live horror, there was horror movie screening, usual rides and trick or treating all the way. I enjoyed the Behemoth ride with my friends that night. Behemoth is a rollercoaster ride and up until 2012 – it was considered the tallest and fastest ride in Canada. The Behemoth experience lasted three minutes and we experienced air-time hills, one hammerhead turn and two helixes. Phew!